We specialize in Private Events & Parties! Inspired by the people who brought you The Party Store. Our mission is to provide you with fun and MOO LICIOUS! soft serve at your next event. 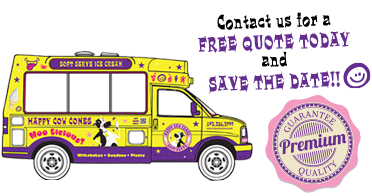 Invite us to your birthday party, reception, office or retirement party, open house or special sale and treat your guests with "udderly moolicious" soft serve ice cream, sundaes, milkshakes, banana splits and ice cream floats. Remember how you loved them when you were a kid? We’ll travel to you in our deluxe MOO LICIOUS! 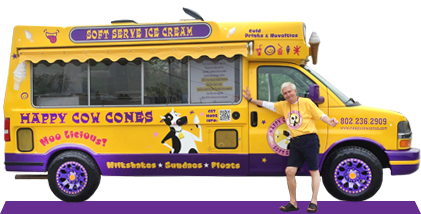 Soft Serve Ice Cream Truck almost anywhere in Vermont, New York & New Hampshire. View Areas We Serve!